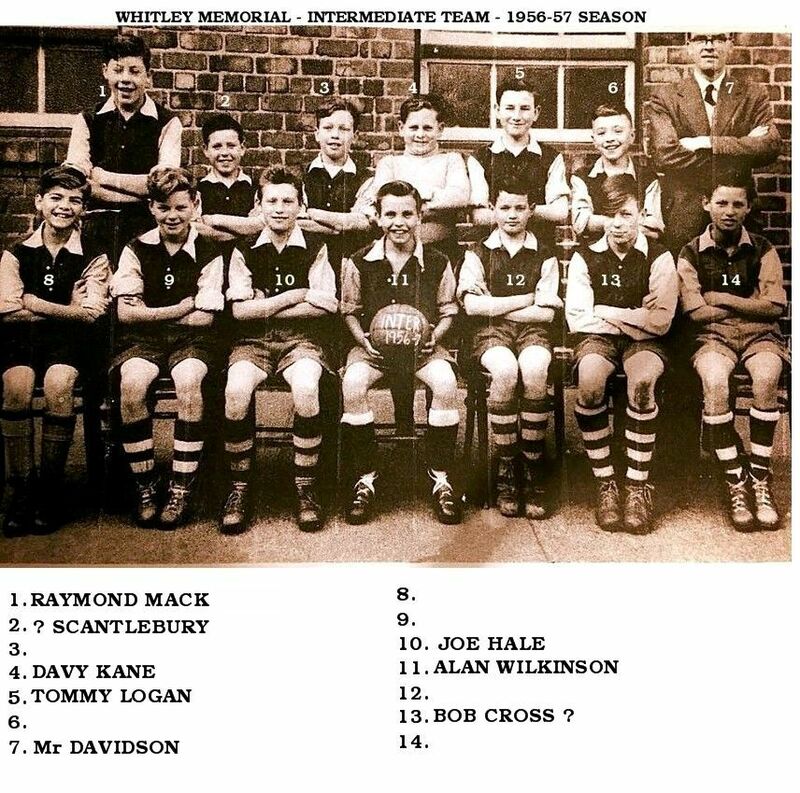 Photo from Carl Wilkinson - Facebook Bedlington Remembered group - his dad is No 11. 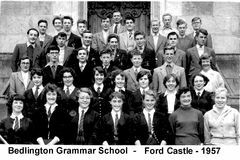 Would this be close to your year group @HIGH PIT WILMA ? Hi Eggy! Been off the scene for a wee while,especially this last week gone...nasty real flu bug....not a heavy caad!....aam taakin aboot being felled onti be back in bed like being hit wi a mel!! Noo! This team comprises seven of my classmates who I went through school from aged five years,at the Village Infants............block of flats!![opp. thi church]..reet up ti Westridge from the Whitley. Noo! A knaa aam not bright when it cums ti fitba' ,but tha's summick odd aboot this team!! Forst off, wheor's big Richie,[Brian Richmond],wa best goalie ever?...a reckon he musta had the flu an aal!! 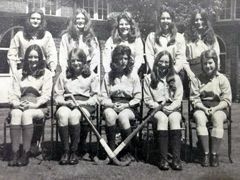 Then no 10 definately isn't Joe Hale!....more like Mike Rutherford,[my neighbour and playmate of my older Brother and me]....if you check out other Whitley team pics..Mike is on there. No 13 definately isn't,to my mind,Bobby Cross...! How they made up a team from differing age groups beats me ! ? 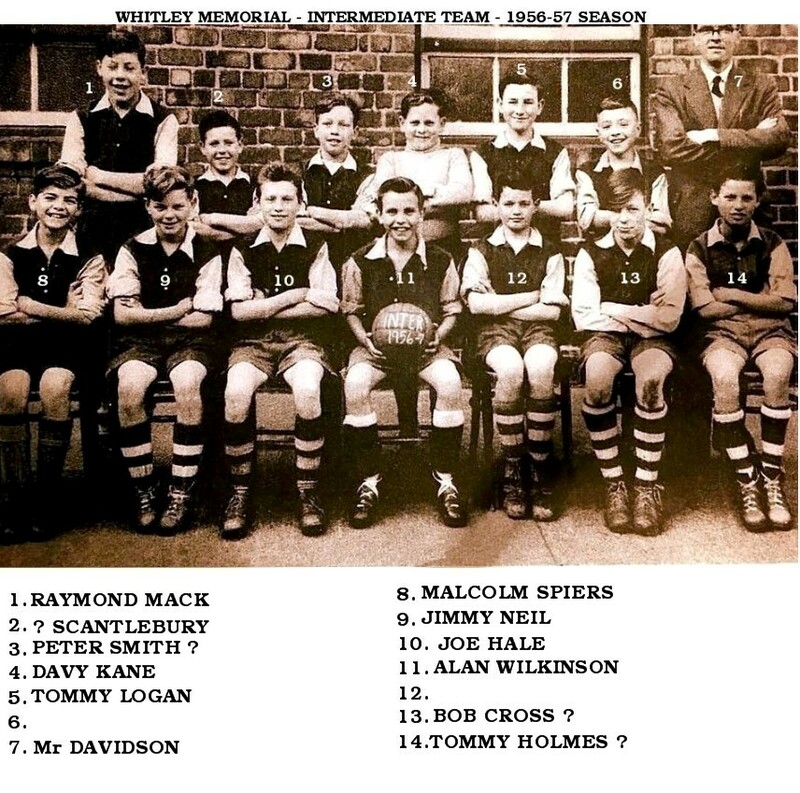 Scantlebury,[no2],and Mike Rutherford,[no 10] ,are nearly three years older than Ray Mack,Alan Wilkinson,Malcolm Spiers,Jimmy Neil,Davy Kane,Tommy Logan,and Tommy Holmes,all of whom are the same age as me,and would have been either 12 years old,or approaching their 12th Birthdays when the pic was taken. [I was 12 yrs old in July 1956]. BUT,... the queerest thing is HOW Peter Smith is in the team! !......he went ti Netherton School ...until Westridge opened,then he started there with me on the first day it opened..cos we were close friends,and nieghbours. I would love to know what the exact date was,when the pic was taken!! This could be fun HPW - I will see what I can find out using discretion, tact and diplomacy! On Facebook Carl Wilkinson posted the two team photos in one post. To try and avoid confusion when people started naming the team members (cos they don't normally tell you which photo they are commenting on) I split the photos added the numbers and created separate postings. On the 1954-55 team photo where I attempted to avoid confusion, by posting it on it's own, a member, Wendy Ready commented :- Wendy Ready No 3 my uncle and my dad Joe hale is number10 on the other pic x - so that's why I named No 10 as Joe Hale on this 1956-57 team photo. So rather than having to switch between the two photos in this album I will create a posting in the History Hollow section, with both photos, and when we have the names sorted I will update the Gallery images.